Mr. George Astley had many interesting anecdotes to tell. Although born in Manchester, he was ten years old when he came to live in Hodnet, the birthplace of his mother. He volunteered for service in World War Two and served in the Royal Army Service Corps. His experiences include being on board The Lancaster when she was bombed, and an unfortunate incident involving inhaling a dentist’s drill. After the war, George and his late wife, Mabel, moved to the house in which he still lives, on V. J. Day 1945. As a boy in the village, George remembers two serious epidemics, possibly caused by the drinking water. The patients were taken to the isolation hospital in Market Drayton. There were no buses for the visitors, but Mr. Starkey from the garage would take you to Market Drayton in his van for 6d each. 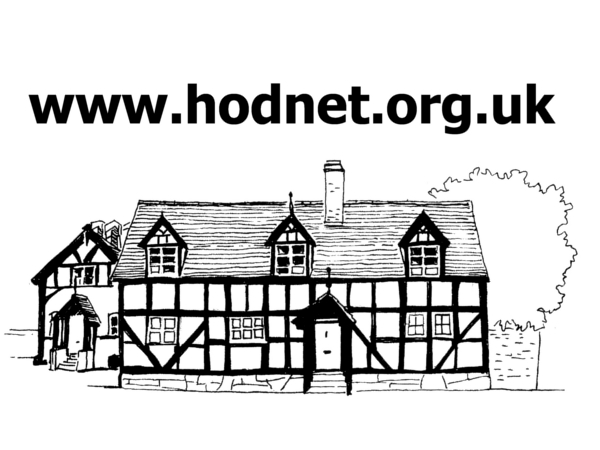 Queen Mary passed through Hodnet once. The school children stood by Thomas and Charles shop to watch her go by. The recreation ground was given to the village by the Heber-Percy family. Before this it was a field where Mr. Gough kept his horses, which he used for his bread delivery van. In the early days, the Post Office was in Shrewsbury Street, (right next door to Mr. Astley’s house.) The telegram boy would sit and wait on the wall opposite and when the Postmistress, Miss Manning, put a yellow telegram envelope in the window, it was the signal that a telegram was waiting to be delivered. 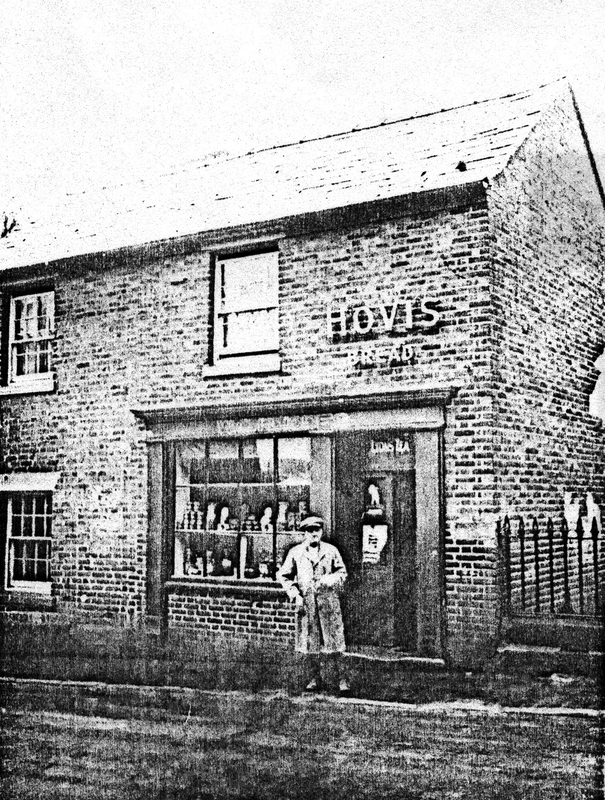 Thomas and Charles shop also stands out in the memory of Hodnet people. Mr. Astley remembers purchasing his first suit, with long trousers, from Thomas and Charles shop. In later years, George had his workshop in what had once been the Fire Station; this was on the Drayton Road. 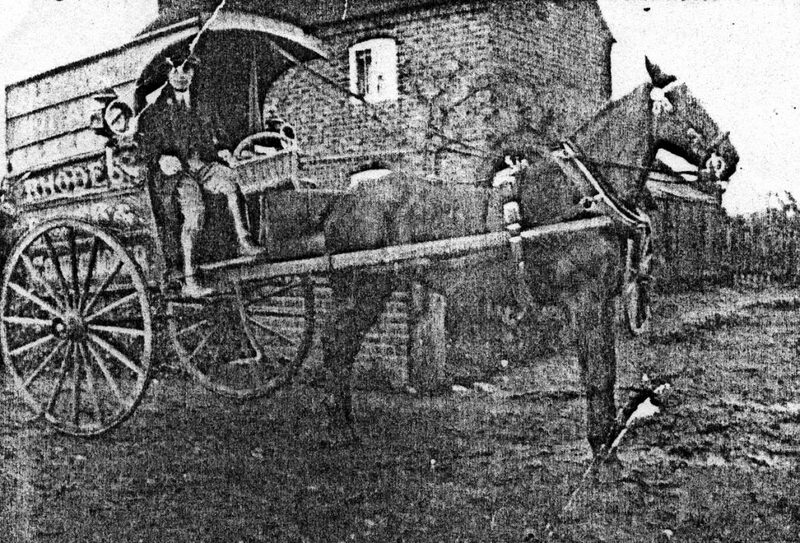 When a fire was discovered the Church bell was rung; someone would then have to catch the two horses that pulled the appliance. Every available person would join in. The Reading Rooms, in Shrewsbury Street, (now a private house) housed a billiard table for the enjoyment of the village people. Mr. Rhodes (Jim’s father) outside his shop in Shrewsbury Street.